Given this high state of logistical readiness, they can potentially deliver a product or component within hours of identifying the customers’ requirement. Availability, whereby they can have inventory to consistently meet customer’s product requirements. Typically, the greater the desired availability of a part, the larger the required inventory amount. The Mattec real-time monitoring system and Winman ERP, facilitates system flexibility, providing new ways to achieve high availability for customers without correspondingly high capital investment in inventory. AKI found that investing in Information Technology that facilitate flexibility regarding inventory availability was critical to achieving high-level logistics performance. Operational Performance refers to their speed and consistency when delivering a customers’ order. To achieve the smoothest of operations, they typically focus on delivery consistency first and then seek to improve delivery speed alongside customer’s wishes. Service Reliability, through comprehensive performance measurement, AKI find it possible to determine whether logistical operations are achieving desired service goals. The key to our quality service is through our ability to identify and implement inventory availability and operational performance measurements. High standards are the product of careful planning supported by employee training, operational dedication, comprehensive measurement, and management’s commitment to continuous improvement. AKI appreciate that customers are completely different and therefore the services that provided can be matched to accommodate their unique requirements. Order Processing, the Information Technology utilised on a day to day basis at A K Industries enables them to handle even the most demanding customer requirements. They have a great deal of experience in forecasting and communications of customer requirements. The basic paradigm in the supply chain is the balance between responsiveness and anticipatory driven operations. Warehousing Logistics, AKI have developed a completely bonded warehouse and materials handling capability, whereby it is essentially a mini system within the overall logistical service. Having effectively integrated this capability, AKI facilitate the speed and overall ease of product flow throughout their logistical system. Information Flow, due to the vast amounts of information that their integrated Mattec and Winman ERP systems enables access to, they can facilitate coordination of planning and control of day-to-day operations. Kanban is a new technique in managing a software development process in a highly efficient way. It is the scheduling system for lean and just-in-time production. A Kanban system is a concept which attempts to maintain minimum inventory. By fine tuning production and supplier scheduling systems AKI can deliver components to the production line as and when they are needed, so that there is no storage in the production area. Through electronic monitoring systems, they eliminate common manual entry errors, provide quick and precise information, respond quicker to changes, avoid overproduction, minimise waste, and maintain low costs which are normally associated with information transfer. AKI take the manufacturing processes Just In Time principle one step further to encompass warehouse replenishment. As a result, the warehouse does not overstock goods; suppliers have an instantaneous picture of stock levels held; and the process moves from one of stocking goods to one of perpetual inventory. 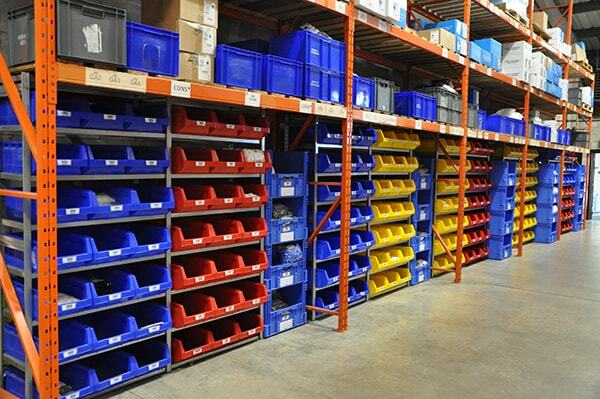 By integrating the E-Kanban system into Warehouse management systems, it allows for real-time demand signalling across the supply chain and improved visibility. Data pulled from the E-Kanban systems can be used to optimise inventory levels by better tracking supplier lead and replenishment times. Installing our WinMan ERP System enabled AKI company to have much better control of manufacturing management, accounting, estimating, and customer relationship management. The Mattec system is connected to all 30 of the Plastic Injection Moulding machines running on the shop floor. WinMan does the planning whilst Mattec performs scheduling, collects the data and sends it back to WinMan, for instance showing how many good and bad mouldings have been produced. Mattec sends it’s signal out every hour saying that, for example, a given machine “has made 100 components”. Then WinMan, via flexible backflush processing, draws down the material in Work-In-Progress (WIP) and works out how many kilos are left for precise weighing and returning to the MatBan area. Creation of barcodes and laser scanning provides complete accountability of raw materials and WIP control. Winman has hugely improved AKI’s forward visibility for materials ordering, which is a bonus in times such as these when orders for some polymers need to be placed months in advance. The immense overhead of 1000 to 2000 invoices per month, and as many delivery notes are automated by Winman. This deals efficiently with the paperwork for daily deliveries called off via a modified KanBan by AKI’s major customer.